As the city of Chattanooga seeks to increase opportunities for its youngest residents and their families, the city and its Office of Early Learning team will spend a year studying a new home-visitation program and what could work best through a new project with the National League of Cities. Earlier this year, the city accepted a $25,000 grant from the Pritzker Foundation Children's Initiative that aims to help infants and toddlers and their families access child care. That grant will allow the city to spend a "year of learning" to explore whether Family Connects, a nurse home-visitation program for new mothers and babies based in Durham, N.C., is the right fit for the city. Chattanooga already has several similar initiatives through the health department, including Baby University, Parents Are First Teachers and other organizations' programs, but the city, under Mayor Andy Berke's leadership, wants to do more not just for children in preschool, but even before they get there. "There is a lot of emphasis on preschool and 3 and 4-year-olds who are in pre-K," said Katie Whitehouse, program manager for the National League of Cities. "We have a lot of great success around that, and people get the impact, but now they are saying, 'Let's look down the pipeline. How can we support them before they get to preschool?'" Whitehouse and her team within the National League of Cities' Early Childhood Success Institute are working with six cities — Chattanooga, Austin, Baltimore, Cleveland, Denver and Minneapolis — during the year to support them as they explore and attempt to establish the infrastructure to implement such programs. In Chattanooga, where the city has led much of the effort around early childhood education, some of that ground already has been laid. "Chattanooga has laid a strong foundation," Whitehouse said. "It is one of the cities that comes up a lot when we talk about early childhood, and it's probably been under the radar for a while." In his state of the city speech last month, Berke put an emphasis on early childhood. The mayor promised to add 1,000 slots for high-quality early learning before he leaves office, citing statistics for how early learning and family training programs such as Head Start and Baby U, result in stronger families and healthier children. "The results we're already seeing are remarkable: In 2017, children enrolled in Head Start made 29 percent gains in literacy and 29 percent gains in math. This compares with 9 percent gains in literacy and 18 percent gains in math two years ago. 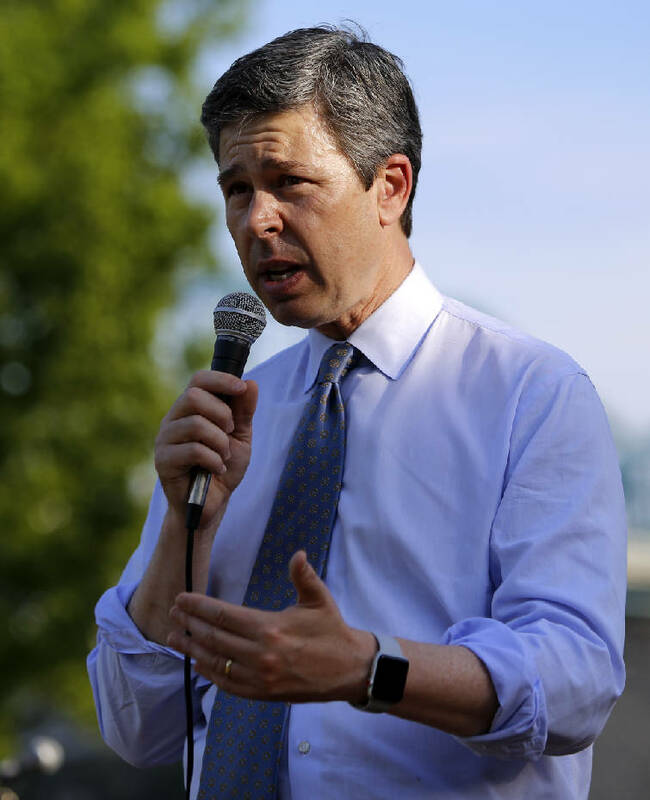 Baby U families have 0 percent infant mortality rate, and every mother in Baby U is on track to graduate high school, even though the drop-out rate for teen mothers nationally is 53 percent," Berke said in a statement. "Working with families, childcare providers, government agencies and philanthropic partners, we are developing a comprehensive early learning system. Ultimately, we want Chattanooga to be a place families want to raise a child." Research shows home visitation programs, which typically involve a nurse checking on a new mother and baby within three to 12 weeks of leaving the hospital, lead to fewer emergency room visits, more wellness check-ups and families making better childcare choices down the road, said Ariel Ford, director of the city's Office of Early Learning. Ultimately, that strong early foundation will have greater impacts. Ford also hopes that the grant-funded exploration will help ensure that Family Connects is the right program to implement in Chattanooga. "I feel a responsibility to use the taxpayers' dollars on a program we know that works and that our community needs," Ford said. The goal of the grant-funded project is to develop a plan for ensuring babies and toddlers are healthy, supporting families, and providing high-quality childcare and learning opportunities. Early next year, the National League of Cities and its partners, including the National Association of Counties, the Center for the Study of Social Policy, National Institute for Children's Health Quality and StriveTogether, will explore how to support and implement each city's plans. Overall, 30 cities' efforts will be studied and supported over five years. "Early childhood is part of a city's infrastructure; it is economic development," Whitehouse told the city council earlier this week. "It helps you build your future workforce, it provides a place for your current workers to place their children the municipal government has a huge role in it."